This is a completely new shape for the extensive Fox Lead range, developed by our team of top carp consultants for distance casting. It is a weight forward design to help anglers add extra yards to their casting distances. 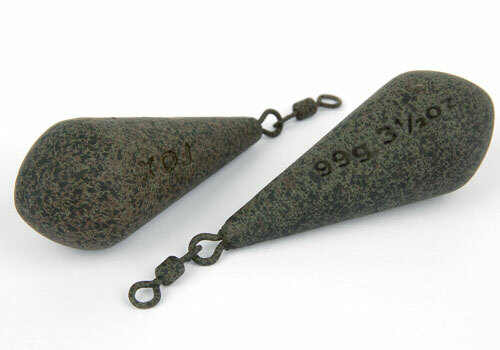 The leads feature a new camouflaged durable, non-reflective matt finish, designed to be hidden on the lake’s bed. These leads are swivel only.